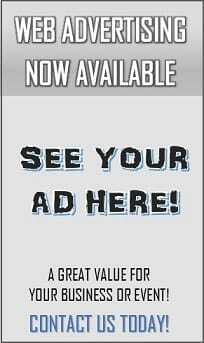 Motorcycle Times: Advertise With Us! Print, Online, Social, Full Coverage News and Events! Advertise With Us To Make Money! 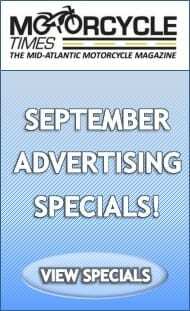 You Can Advertise Your Dealership, Shop, Business Or Event In Social Media, Online And In The Magazine! Advertise with us and we will custom tailor your comprehensive advertising plan made up of the three must have ingredients for advertising success. Social. Online. Print. YOU NEED ALL THREE TODAY. We supply your ads to our customized Facebook, Instagram, Twitter, Linkedin, Tumbler and other databases. We adapt our posting events to have the most likely time to be seen on the the most likely day. We do not always use the same Social Media. We try to target the ones that are “hot” at the time. We prevent your ad from going stale by doing this and using other techniques. We help to maintain “top of mind” retention for your ad. We’ve remodeled our website, as you can see here. It’s simpler, faster, better looking and more responsive. Your Ads Can Be Seen On This Site! Completely new, interest specific look. Magazines are free to read and right on the Home Page! Your ads get seen again in the magazine online! Events Calendar is a big traffic producer every month. We search the internet and our sources for fresh event information daily. Events Calendar page is an excellent place to have an ad. “NOG POSTS” – we added a blog page. 1 footer ad is available for each blog post. At least 4 posts per month. We added a free classifieds section. Anyone can post motorcycles and motorcycle related items. Every improvement we’ve made brings more views and clicks to your ad! Our printed magazine lends credibility and trust. Studies show that a printed ad on a page is easier to retain than any other means of information. Print remains the best source of advertising impressions per dollar. Industry sources report that from 2011 to 2015 trust in printed ads in magazines and newspapers grew by 18 percent. In 2011, 47 percent of North Americans said they trusted ads in newspapers and Interest Specific Magazines. During 2015-2016; four years later, the trust in printed ads figure grew to 65 percent. The magazine has been serving the Mid-Atlantic area since the late 1980’s! The magazine is well known and trusted. We offer a complete package including each component shown here at one good price to cover all your needs. Or you can mix and match, run a short flight or a year long ad program. We’re flexible and can work with you to fit your needs! Email or call us at 302-943-3590 right now and let’s get started!